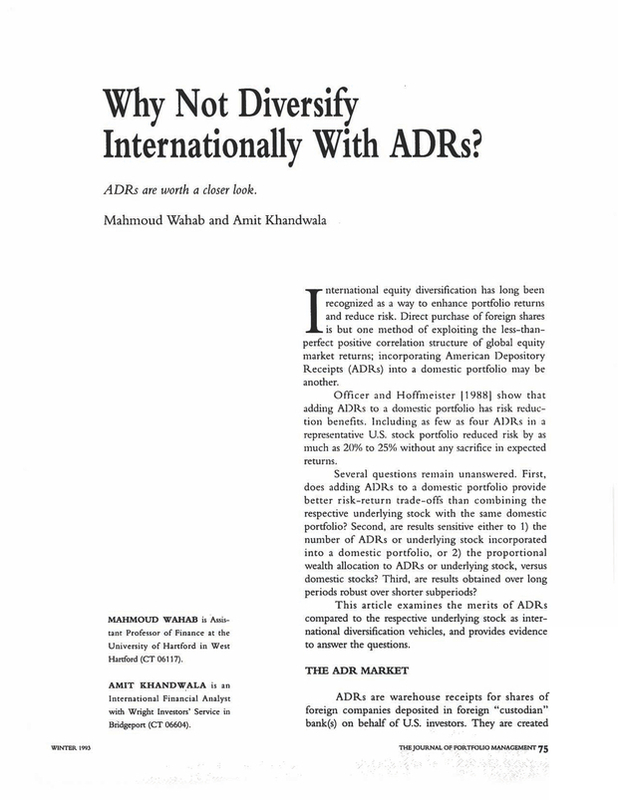 Why Not Diversify Internationally With ADRs? Assistant Professor of Finance at the University of Hartford in West Hartford (CT 06117). An International Financial Analyst with Wright Investors' Service in Bridgeport (CT 06604). You are going to email the following Why Not Diversify Internationally With ADRs?